Burlington is the gateway to a world of adventure, history and recreation and to experiencing the enticements offered all along the coast of Lake Champlain. 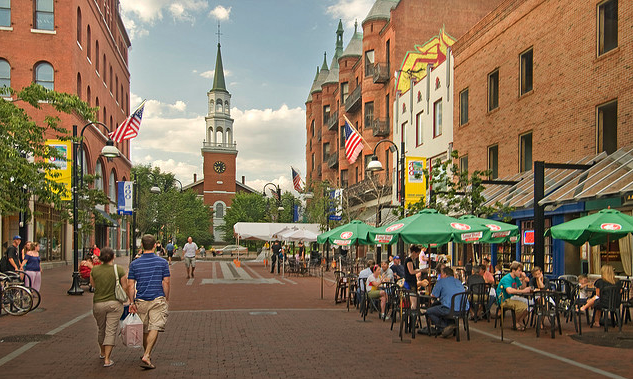 It is Vermont's largest city, with about 40,000 year-round residents. It attracts visitors who like the mixing of college-town sophistication with idyllic rural beauty. In Burlington and the region, they find both. If you are interested in touring any of these stunning properties or are looking for more information about Burlington, VT, contact us. Our agents have the best experience and knowledge of the Chittenden County communities. You can also create an account to save all of your favorite properties and receive email alerts when new listings come onto the market. If you already have an account, feel free to sign in here! Lake Champlain was named after the French explorer Samuel de Champlain, who encountered it in 1609. While the ports of Burlington, VT; Port Henry, NY, and Plattsburgh, NY are little used nowadays except by small craft, ferries and lake cruise ships, they had substantial commercial and military importance in the 18th and 19th centuries. Lake Champlain activities include boating, swimming, fishing, tubing, scuba diving, ice skating, ice fishing and is the home of the Lake Champlain International Fishing Derby. The LCI Derby as well as other fishing derbies throughout the summer. Burlington waterfront and community park offers 900 feet of lakeshore, a boardwalk, and benches which make this a great place to sit and watch some of the beautiful sunsets that Burlington has to offer. The waterfront also has access to the Bike Path, a Skate Park, a festival site, which is host to a number of major events throughout the year, and a two lane boat launch. Also housed on the waterfront is Echo Lake Aquarium and Science Center, Spirit of Ethan Allen Cruises and Splash a one-of-a-kind restaurant – hidden on the lakeside of the floating Burlington Boathouse. One of Burlington’s Main Attractions is The Church Street Market Place, which offers an array of shopping including clothing, furniture, chocolates and gift ideas. You can also explore the flavors of over 26 outdoor cafes during spring, summer and fall as well as a variety of other restaurants and food cart vendors! Throughout the year there are many events to attend and enjoy. From the Magic Hat Mardis Gras Parade, Discover Jazz Festival, Festival of Fools, the Church Street Santa Parade and Lighting Ceremony and so much more!